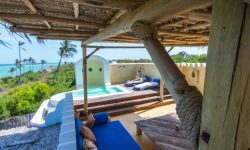 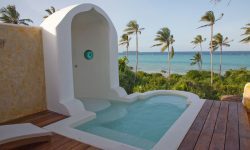 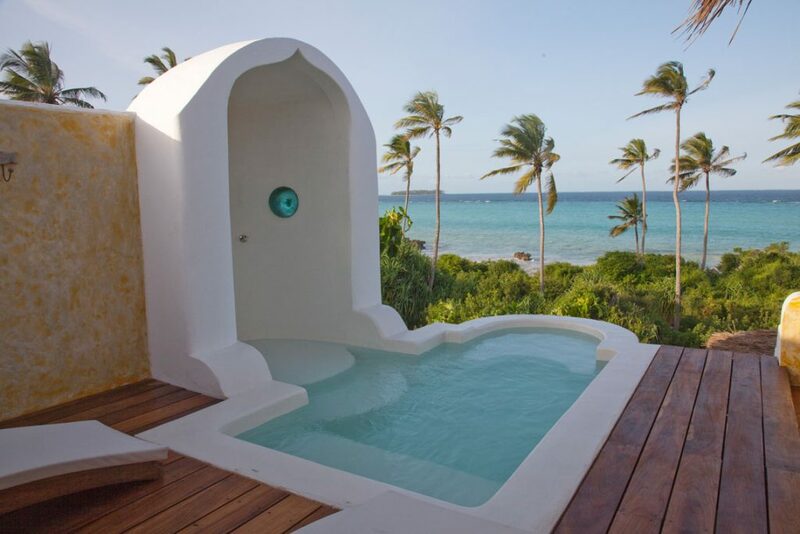 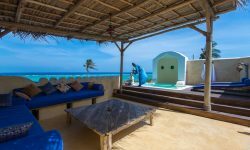 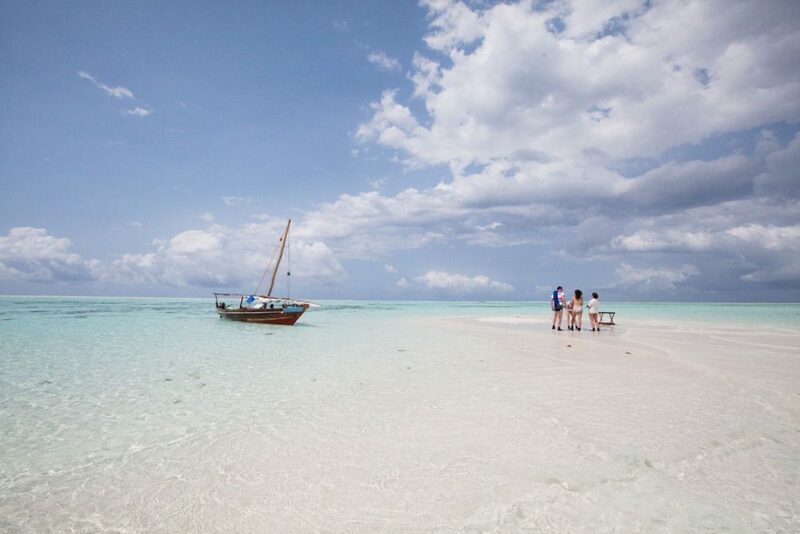 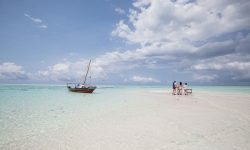 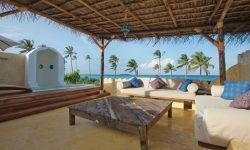 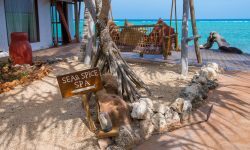 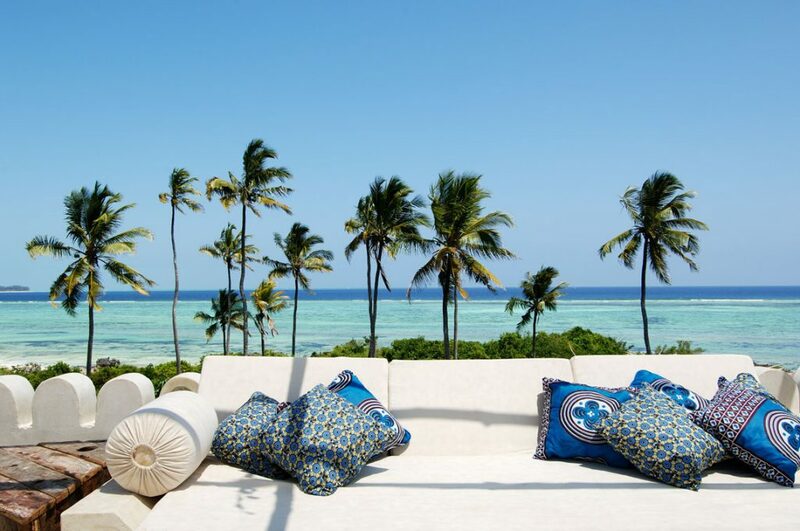 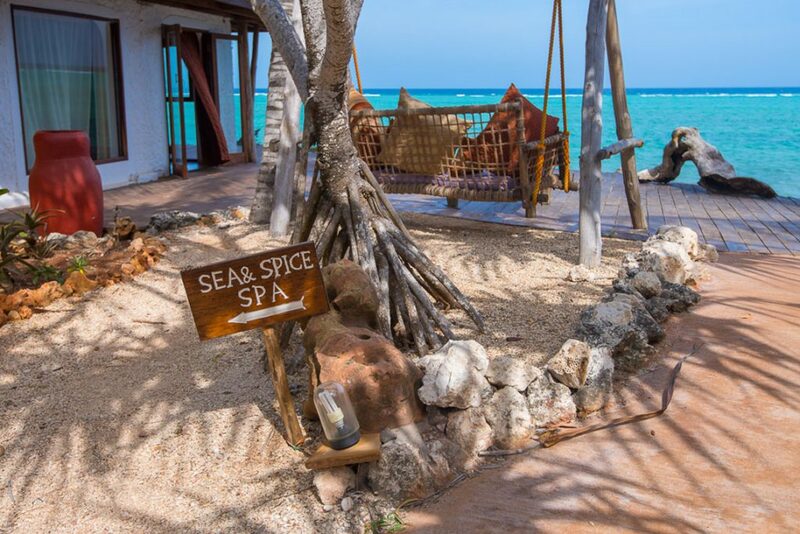 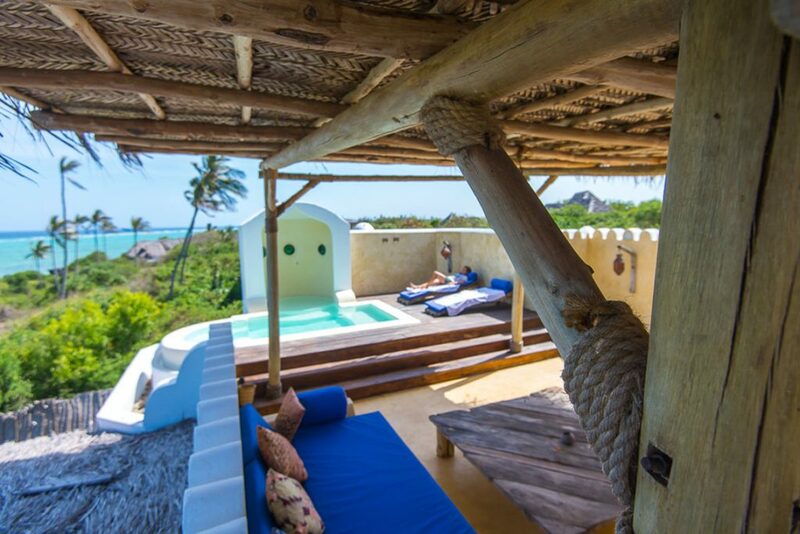 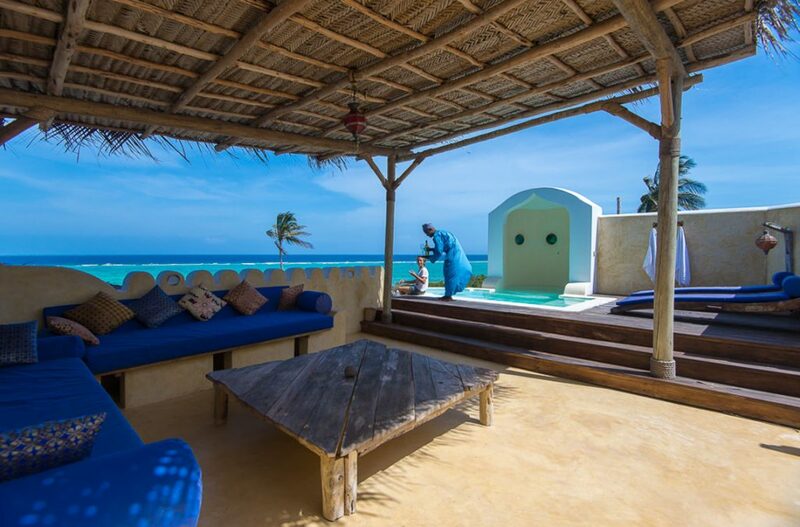 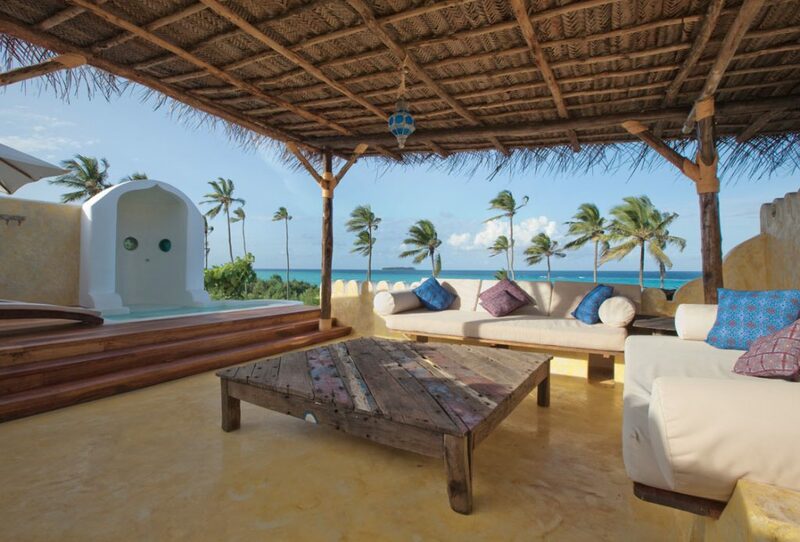 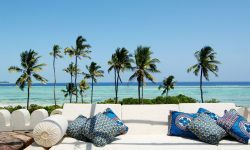 Matemwe Retreat offers 4 exclusive villas set just metres from the Indian Ocean. 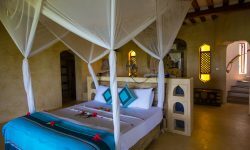 The spacious rooms are decorates in a vibrant island motif, with private deck and swimming pool for the lazy afternoons in the sun. 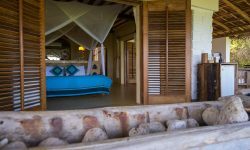 Days at the Retreat are all about indulgence, from the private butler catering to your every whim to the chef stopping by each morning to discuss your preferred menu for the day. 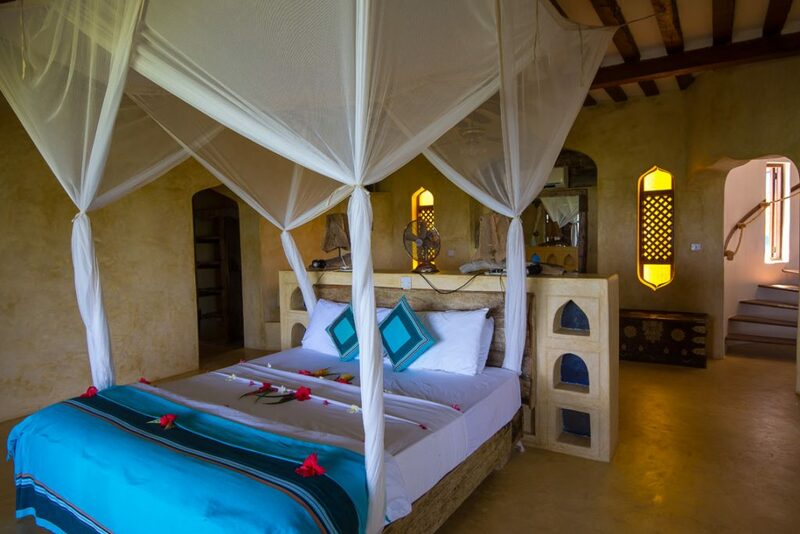 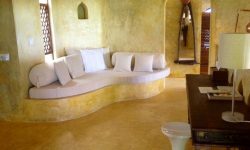 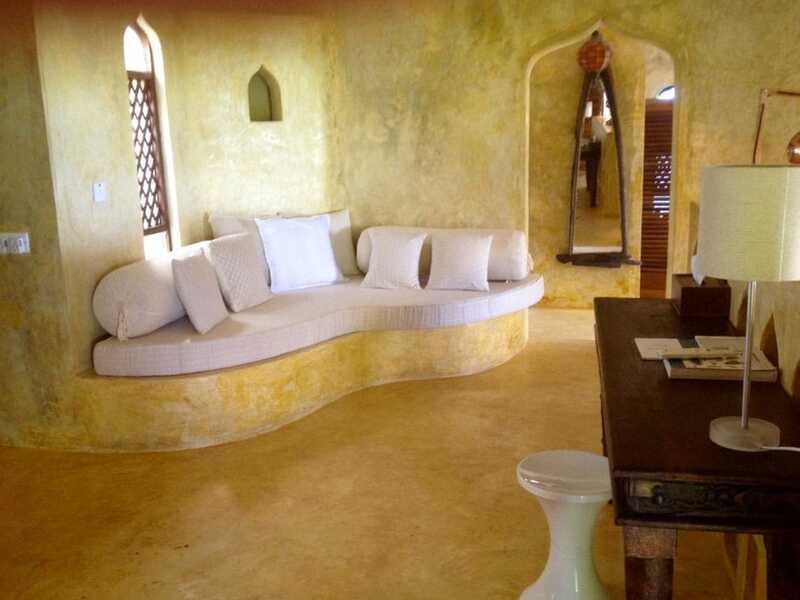 The rooms offer King size beds, Air condition, Private terrace with personal bar and plunge pool. 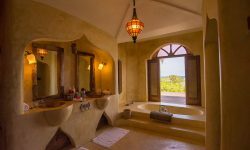 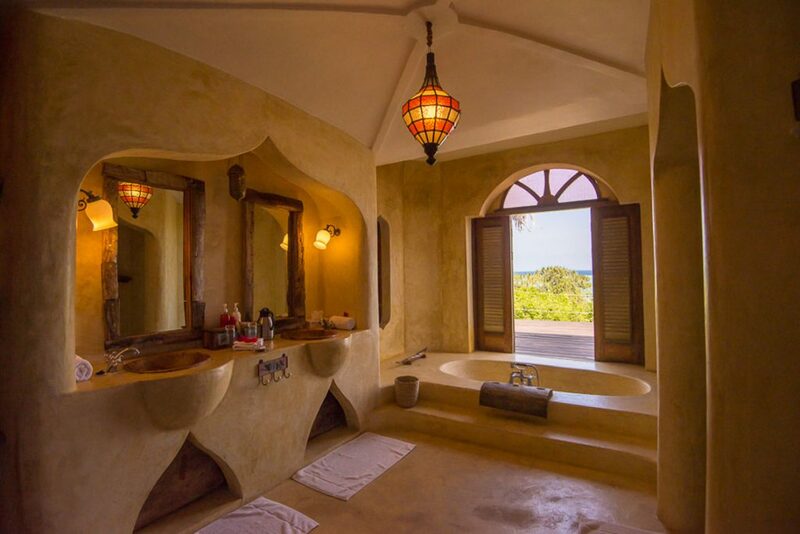 All rooms are En suite with indoor shower and bathtub. 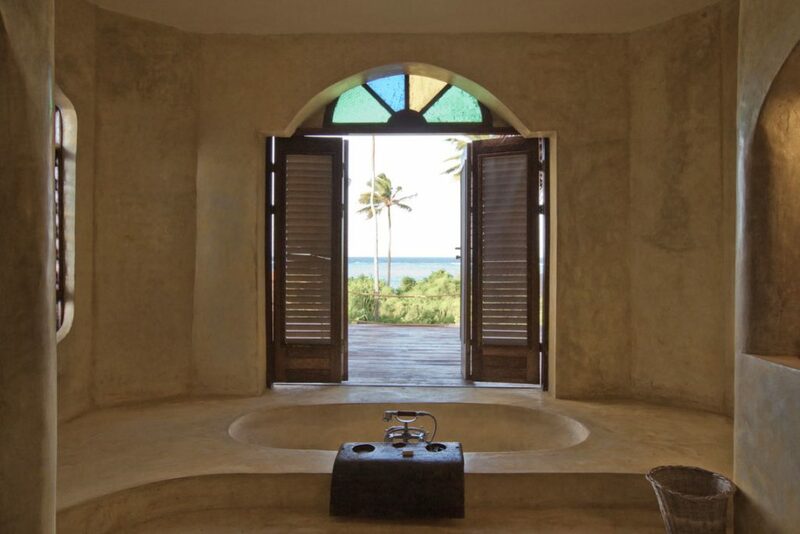 Wifi is available through out. 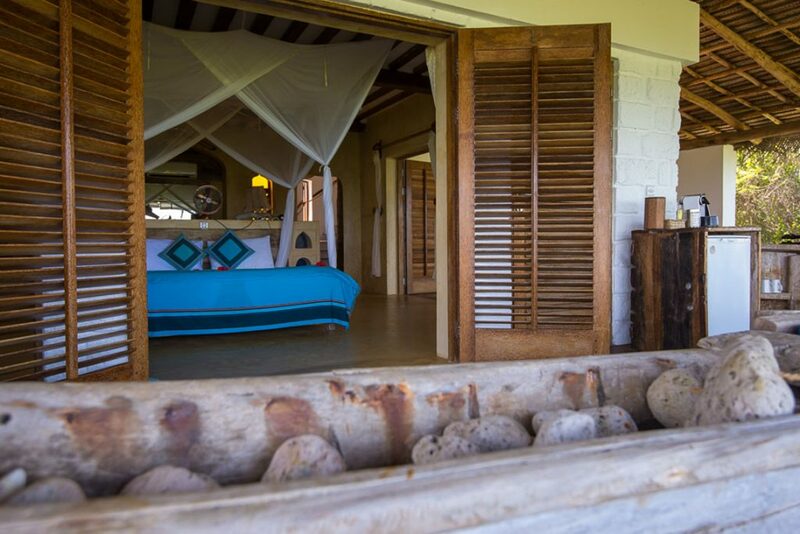 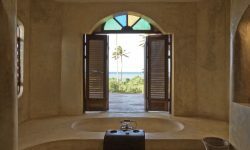 The Retreat offers privacy with personalized service which is perfect for honeymooners and couples. 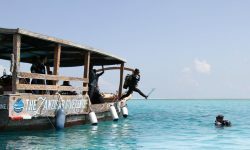 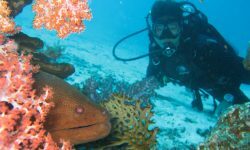 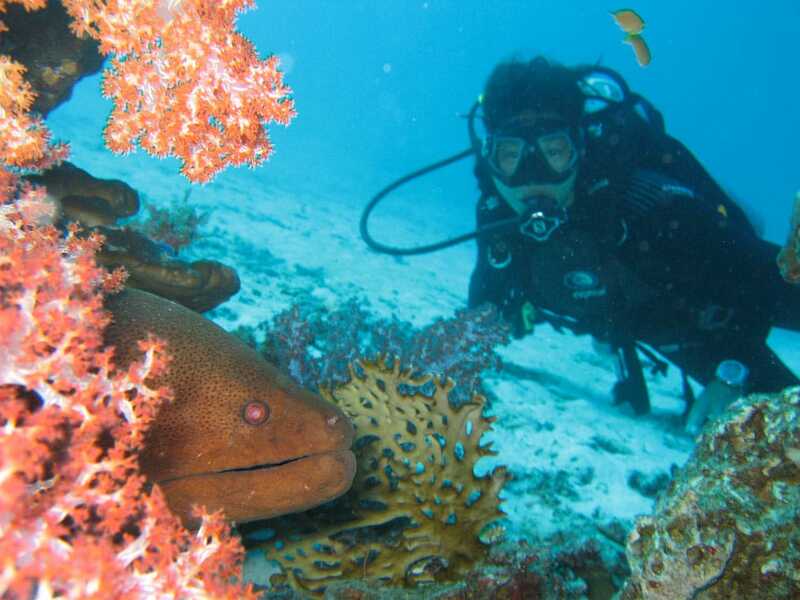 A variety of activities are also available from Padi Diving, Boat cruises, snorkeling. 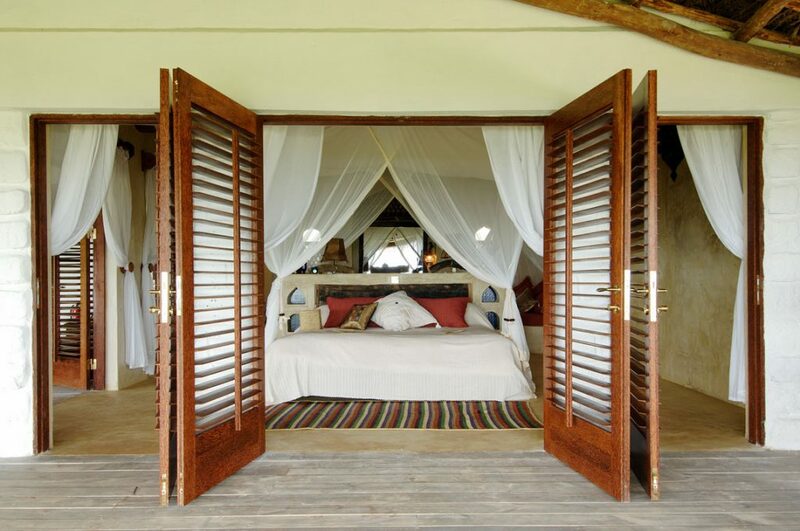 Children are not permitted at the Retreat.